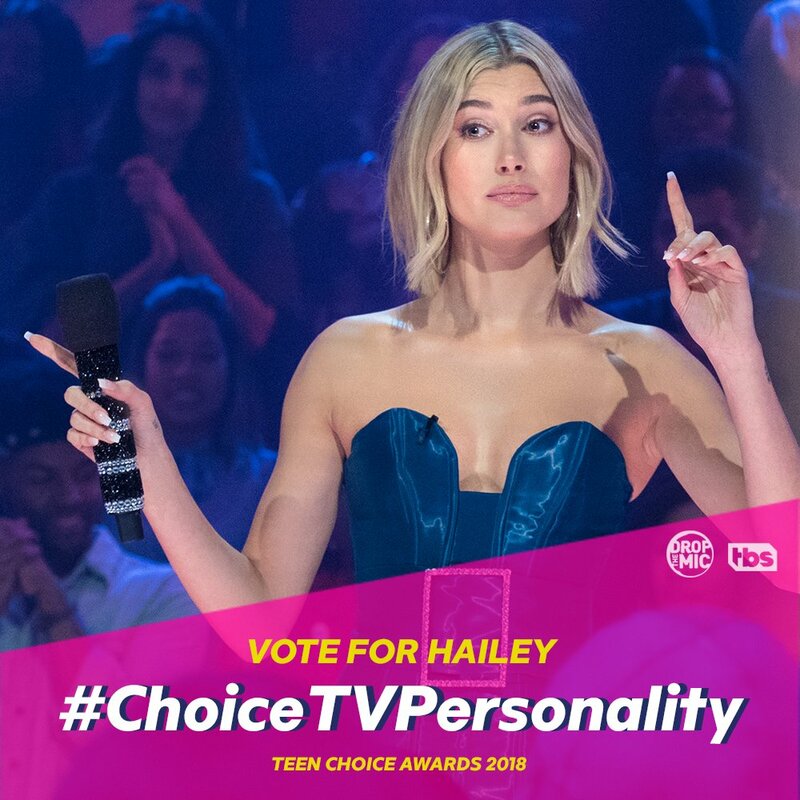 Drop The Mic co-host Hailey Baldwin is nominated for a Teen Choice Award and you can vote for her by clicking HERE. Drop The Mic has returned to The Late Late Show, pitting James Corden against Ashton Kutcher, hoping a cameo from Diddy will bring James his first win ever. The women of GLOW try their hardest to pin the Women’s Revolution of WWE. I assumed I’d have to apologize for this – instead, it’s pretty dope. I was stoked to be interviewed by Complex about Drop The Mic and what it’s like to teach celebrities how to rap. Uh…I’ll just leave this here.